I planted them in a corner of my community garden plot, made sure they had water, and largely ignored them for a few months. They set fruit. And, then set more fruit. The vines grew vigorously, and I had to constantly keep redirecting the new growth out of the tomatoes, peppers, beans, etc. They wanted to spread out across the entire plot. At that point, I was paying attention. 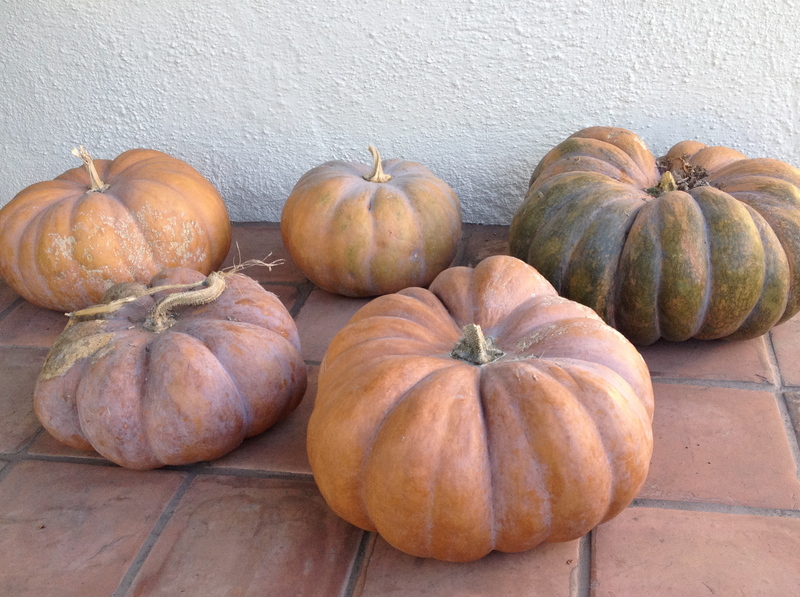 Then, the pumpkins began to show their size. I was intrigued. 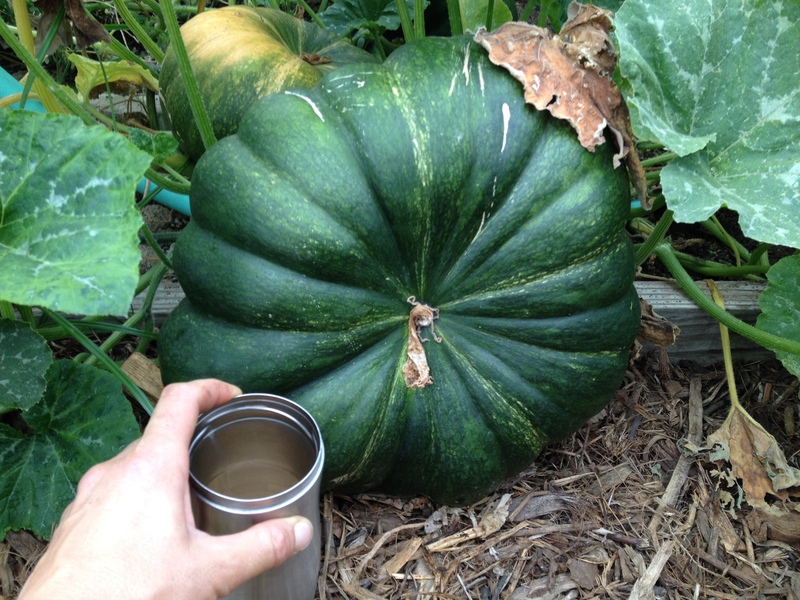 I had never grown a squash so big. 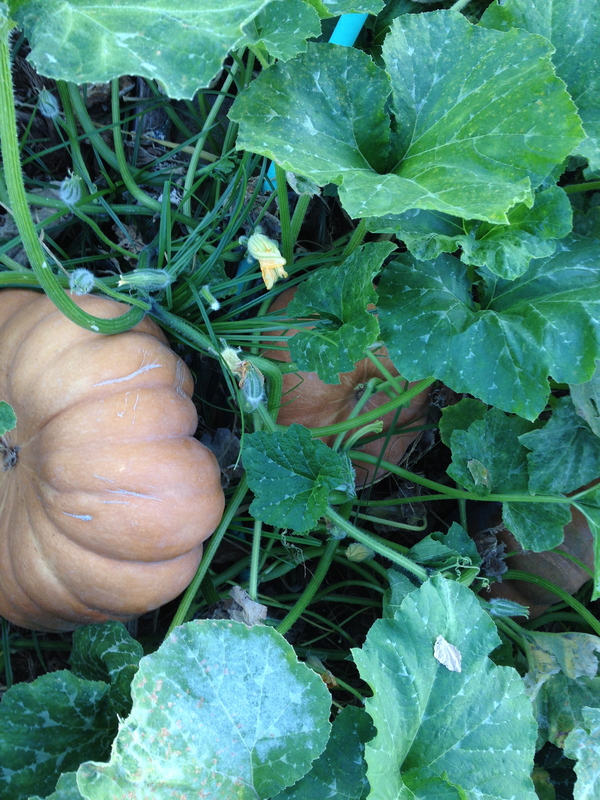 As the pumpkins began to turn orange, I was in the throes of having returned to teaching, and I barely had to time to pay attention to anything other than work and family. I made it to the community garden plot just enough to make sure the plants had enough water. In my absence, the vines decided to set more pumpkins! Work has demanded that I give up the plot at the community garden. The Cinderella pumpkins were the last thing to be pulled out of the ground. As I lined up the first of the pumpkins along the path to admire them, my gardening neighbor made a passing remark about how delicious they were. What!? 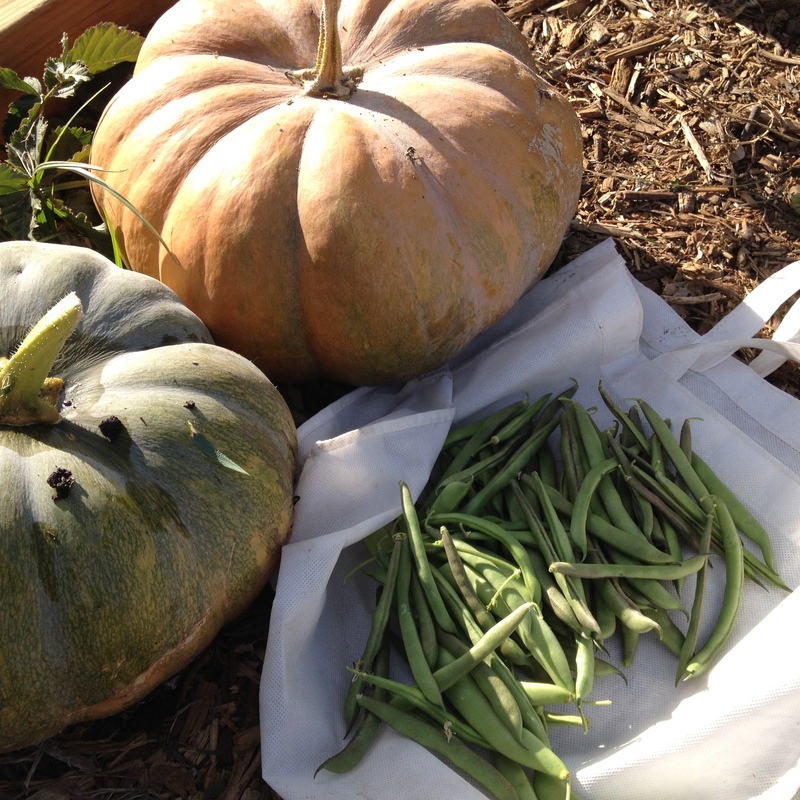 I thought, as I pondered that I had at least 50 pounds of squash before me with three more pumpkins still on the vine. 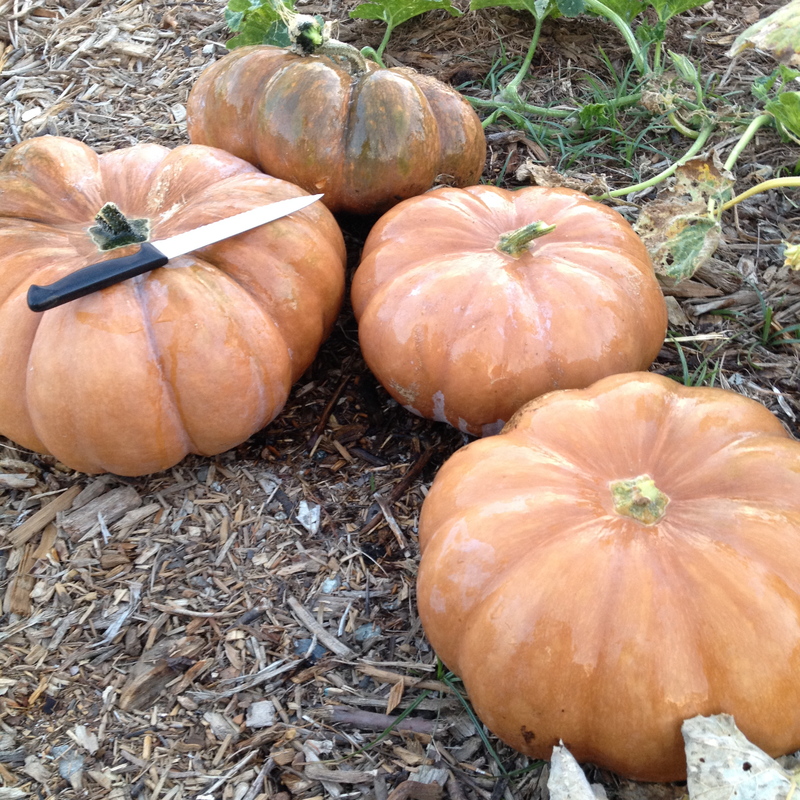 In total, I harvested 7 pumpkins, their combined weight probably somewhere between 80 and 90 pounds. At this point there are 5 pumpkins left, and, indeed, they are delicious. I have used them in place of butternut squash and pie pumpkins in some of our favorite dishes, including this delicious eggless pumpkin pie. They have a bit more water in them than other squashes, so I had to cook down the pumpkin puree a bit before using it in the pie. They have a beautiful dark orange flesh, a tasty mild,flavor, and smooth texture. 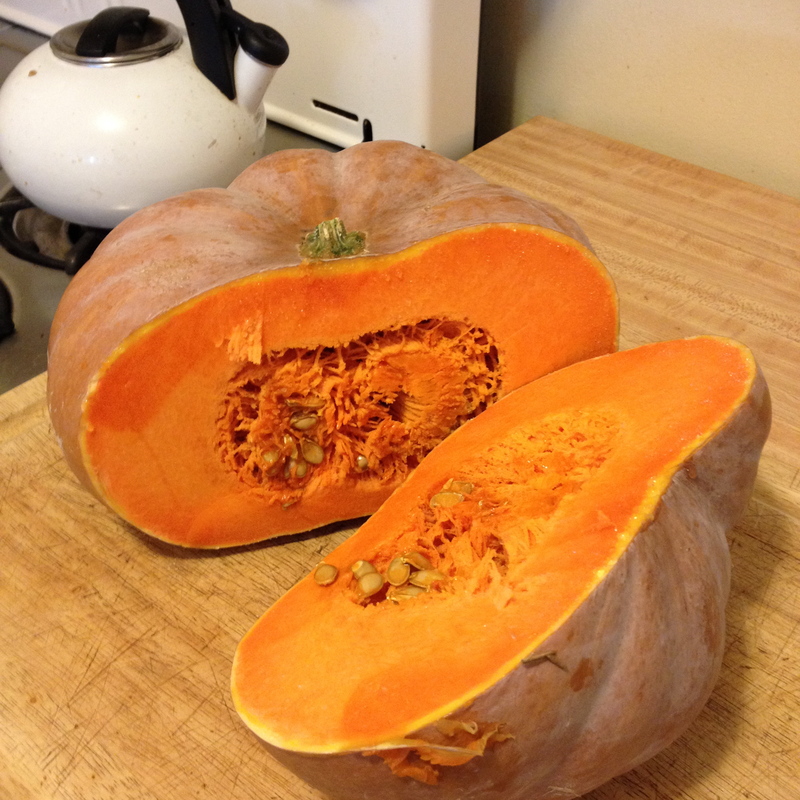 What is your favorite winter squash? What delicious things do you cook up with your favorites? 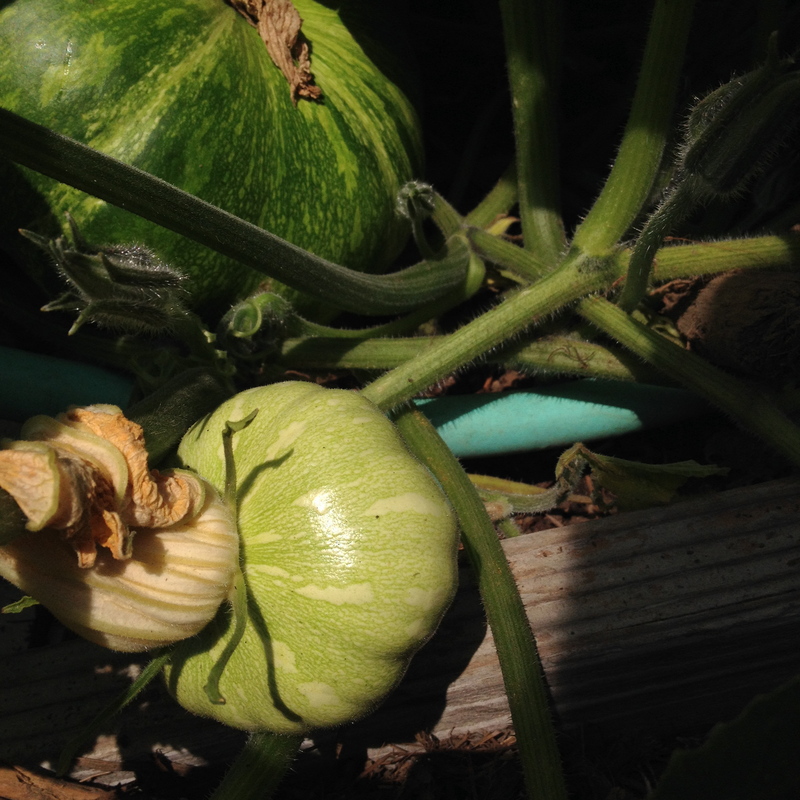 That green one in the back is slowly turning orange…. Wow! That color is intense! Thanks for posting that photo. Really love this squash! Thanks! Yes, it was hard to leave the community garden, but I simply did not have time anymore. The good thing is, though, I have plenty of garden space in my backyard. I just won’t get to grow in as much abundance. Won’t be putting as many tomatoes up next summer.